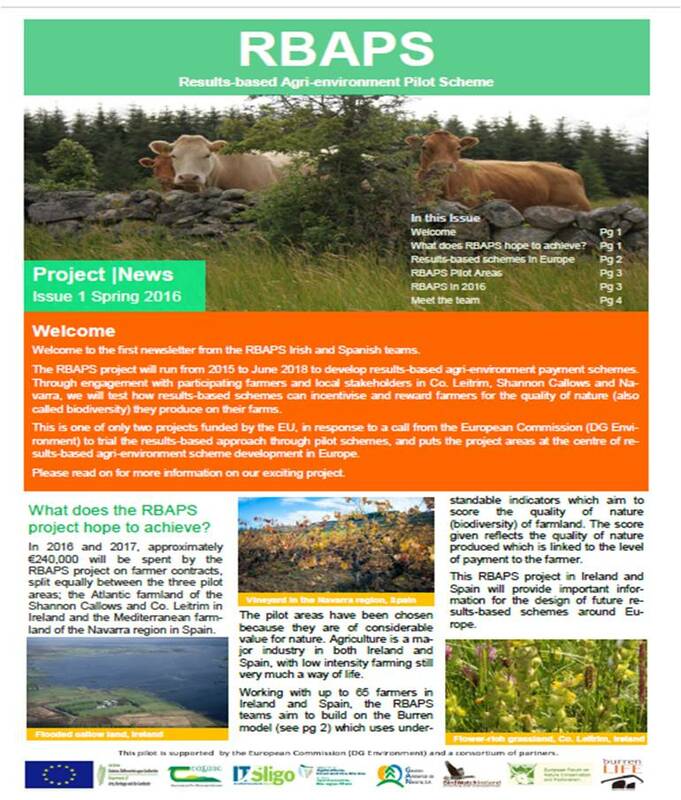 James Moran, Dolores Byrne and Julien Carlier, Institute of Technology, Sligo were featured on Ear to the Ground, a popular Irish agricultural show, explaining the RBAPS project. It was a bitterly cold and snowy day when Ella McSweeney and the Ear to the Ground team came to visit Co. Leitrim. Ella met with James Moran who is leading IT Sligo’s work with the RBAPS project. James set out the background to CAP and to results-based schemes pilot, particularly the concept that farmers who produce high quality environmental goods should be rewarded by a new market developed for these type of goods. Ella met RBAPS project ecologist, Dolores Byrne at her farm in Dromahair, Co. Leitrim, which supports species-rich grassland, semi-natural woodland and heath. Dolores explained her role in the project, working closely with participant farmers to develop the scheme and on why it is important to recognize the environmental goods produced by farmland. The team braved the snow to meet with RBAPS farmer Thomas Healy and his lovely sheepdog Scott. Thomas has intensive green land on which he maximizes his livestock production. 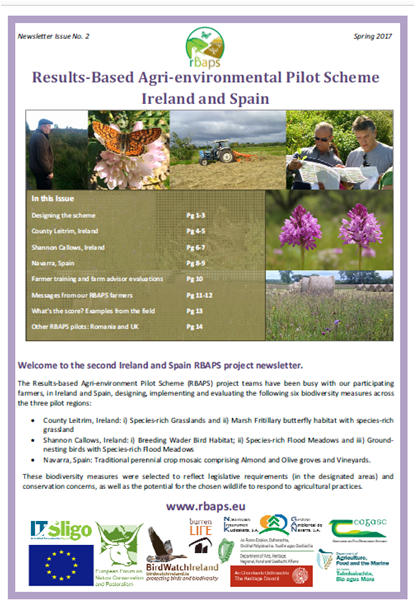 His less productive land was eligible for entry into the RBAPS species-rich grassland measure pilot scheme, and scores well as it is not fertilized and produces a variety of wildflowers. Finally, Julien Carlier, a PhD student at the IT Sligo working on the sustainable development of greenways, explained the value of HNV farmland in the context of the new Greenway route at Dromahair. With thanks to Thomas Healy (RBAPS farmer) and Ella McSweeney, Paula Williams and the hard-working Ear to the Ground crew.